Glass is dead. Long live Glass? Chris predicts it will come back for industrial uses. Before it’s demise, the Glass team announced they would be dumping the OMAP and instead going with an Intel. Dave thinks that this home robot kickstarter is a waste of resources; in the 80s everyone though you’d have a home robot. Chris thinks Glass and home robots are technologies looking for a solution. Narrative is an example of a more subtle technology that has similar effect. Dave wanted to have a lifelogging audio app/device. He also thinks that Smartwatches will become terminal devices, like a 70s mainframe. Contextual Electronics just relaunched. The first project will be a “cart” for making a surplus smartphone into a telepresence robot. 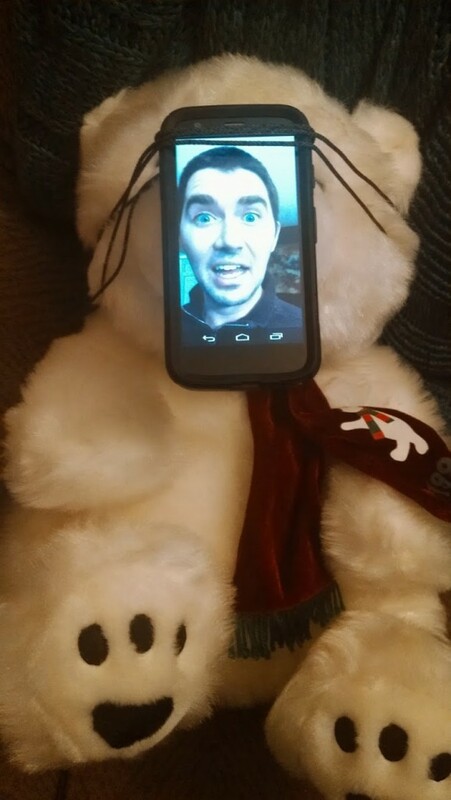 This idea blossomed out of Chris and Dave talking about a “Kickstarter” campaign to have a “Telepresence bear”. Speaking of people who do tons of things, Bunnie and Xobs did some amazing work with the Gongkai phone plans from China. They did work trying to find ways to open up the MediaTek MT6260. Seeed Studio sells the LinkIt-ONE, which has a range of MediaTek chips on board, including GSM and Wifi. Dave has developed a GSM module in the past for the Altium Nano board. The SpaceX rocket landing wasn’t a failure, it was a spectacular looking bit of progress. Dave was amazed about the 2004 beagle 2 recently being found. Satellites are powered by RTGs, these can provide 62W. Chris likes thinking of satellites to exemplify how all “grounds” are just relative references. Mantras can help you learn and internalize electronics. The Cirqoid is a new PCB milling machine that has other functions. We don’t care about the other stuff as much. There are lots of PCB tools in 2015 so far, the Voltera was the printer that won the Hardware Battlefield. The KeySweeper is kind of terrifying: It is build into an AC charger and can sniff packets of a bluetooth keyboard and transmit them home over GSM. Radioshack is just about dead. Reading about how they treat their employees, it doesn’t seem that big of deal. Forrest Mims (former guest of the show) wrote about the Altair 8800 recently on the Make blog. Chris will be at DesignCon next week showing off Parts.io. Stop by to take a picture of Chris looking miserable. Glass is bad, and always was. I hate it when people wear glass around me. It won’t find many industrial uses, because humans don’t want it, and humans don’t like to have others judging them later on for what they did at the time they did it. Sorry Chris. It was always a bad idea. Just ask cops what they think of cameras. For some reason they don’t want to adopt them. But I love the show! I’m not saying it would cause workers to rejoice that they have a computer on their face. I’m saying it will find work as a way to help workers improve their jobs and provide “just in time” training, because it’s expensive to train people and they often forget things. I don’t know about that argument Chris, I continued to wear a hair net for years after I left the fast food industry. Also, I’m sad about RadioShack. It’s not that we need another store selling cell phones, and clearly they have lost there way, but where else can you buy an opamp when you need one faster than what can be shipped. It’s a bummer. And yes, I’ve been drinking tonight, in case anyone was wondering. Radioisotope Thermoelectric Generators are NOT used on any Earth satellites. One could reasonably argue that they should be and would be totally safe, but there is way too much public opposition to little balls of radioactive material that will eventually decay and fall to Earth. The only uses for RTGs these days (since the late 70s when they were used on Apollo missions and in some satellites) are in probes sent to the outer edge of the solar system where solar panels become ineffective, and for special cases — the Curiosity rover has one as well as a few probes not orbiting Earth. Most probes and satellites, including those probes with RTGs, rely mainly on solar panels and either batteries or fuel cells for when the sun is occluded. Interestingly enough, there are a number of RTGs in old US and Soviet unmanned beacons or lighthouses that still run reliably after decades, although installing a ball of radioactive plutonium in an unmanned building has fallen out of favor for some reason. I should be clearer, there ARE some old satellites still in Earth orbit with RTGs, but they were all launched in the 60s and 70s before it was decided that putting more plutonium in orbit may be a bad idea. Uh Dave, which PCB Milling Machine did you think of when speaking for ~1000$ for something usable? It seems pretty hard to find anything between the “bellow 100$ !!1!! !1” ones and the above 2500$ ones. Does anyone know if Mediatek (a Chinese company) has the same NDA/Volume requirements for the Chinese market? Or is that only for Western business? I understand the IP landscape in China is different than that of the U.S., but how else do the lower volume Chinese retailers and phone manufacturers get these chips? They had to dump TI because two plus years ago TI said they were killing off OMAP. The book “Consider a spherical cow” was kind of an important book for me in grad school. If I remember correctly, the surface area of a mammal scales with body weight by assuming the animal is a sphere. It is good tool for toxicology problems when estimating the dermal exposure of animal to a poison.